It is exactly one year until the Winter Olympics kick off in Sochi. The event is promising to be remembered as a costly and glorious extravaganza, with a long-lasting transformative effect on Russia’s south. 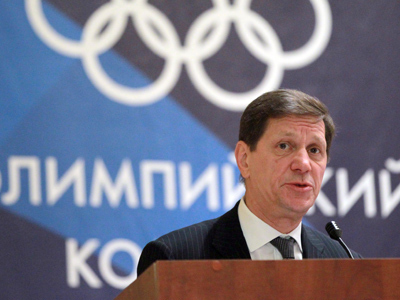 ­On Thursday Russia commenced the countdown of exactly one year left to the Sochi-2014 Winter Olympics. Huge electronic clocks (six by four meters) have been set up in the downtown precincts of Russia’s nine major cities: the multi-million-inhabitant cities of Moscow, St. Petersburg, Novosibirsk, Yekaterinburg, Nizhny Novgorod and Rostov-on-Don, and regional centers Khabarovsk, Pyatigorsk and, of course, Sochi itself. Official timekeeper of the Sochi-2014 Olympic Games is Swiss company Omega. With the countdown to the grand opening ticking, RT takes a look at the future first-ever Winter Games held in Russia and some interesting facts about them. 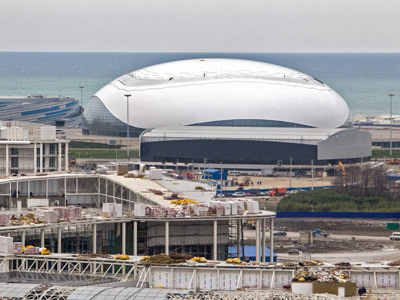 - Sochi Olympic venues are concentrated in two clusters, one on the Black Sea coast and the other high in the Caucasus Mountains. 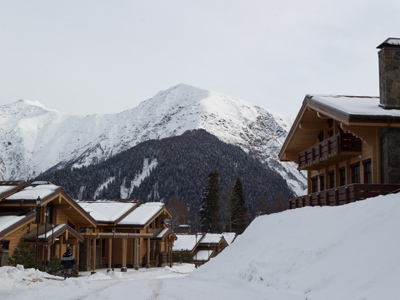 The idea to encompass a sub-tropical resort and alpine skiing at virtually the same location was one of the key selling points of the Russian bid to host the games. Sochi will be the warmest city ever to host the Winter Olympics, with temperatures at the seaside expected at about 10 degrees Celsius at the time of the event. - There will be 98 sets of medals up for grabs in 15 sports disciplines in Sochi, while at the previous Olympiad in Vancouver there were 86. Additional medals will be awarded in women’s ski jumping, team figure skating competition, half-pipe and slope-style in freestyle – both in men’s and women’s events, mixed relay race in biathlon and parallel slalom in snowboarding. - In addition to building 11 sports venues (plus a grand plaza, plus the accommodation for delegations) the Olympic construction project includes massive infrastructure building. 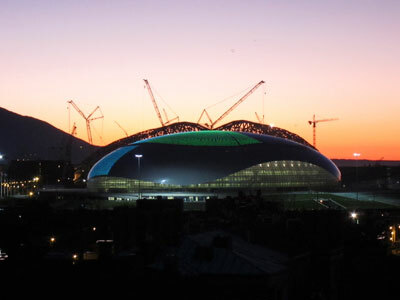 Hosting the games required a new international airport terminal, upgrades to local power plants and building new ones, many new roads, bridges, railway lines, tunnels, and optical fiber lines and broadcast equipment. Not to mention the new sewage treatment facilities and an artificial island. - The Sochi Olympics are promising to be the most expensive games in the history of the movement, with a price tag surpassing even that of the Summer Olympics in Beijing in 2008. 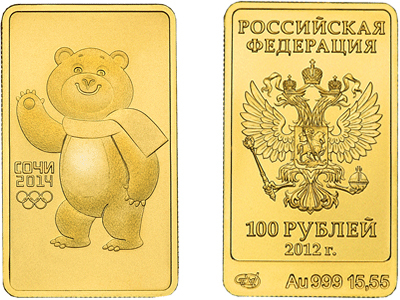 According to the latest estimate, it will cost Russia and private sponsors $50 billion. For the sake of comparison – Canada spent less than $2 billion on the previous winter Games in Vancouver. China’s Olympics had an estimated cost of $40 billion, while the latest games in London in 2012 were estimated at a mere $19 billion. Critics say the figure represents inefficiency by state-controlled investment and rampaging corruption. Defenders point out that a big part of the money went into beefing up the infrastructure in Sochi rather than building venues. 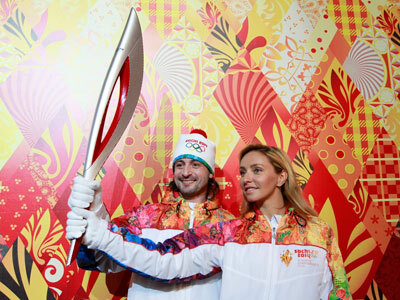 - The organizing committee is also aiming at holding the grandest Olympic torch relay. The flame will be travelling for 123 days over more than 40,000 kilometers, with some 90 percent of Russia’s population getting a chance to see the torch. The transportation will range from conventional cars and planes to horse troikas and reindeer sledges. The flame will be taken to Russia’s highest mountain, to the North Pole and possibly to the International Space Station, if engineers find a way to launch an open fire into space and bring it back safely. - The torches themselves will be made by the same factory that builds the Sineva submarine-launched ballistic missiles. The estimated cost of the 16 thousand torches the organizing committee wants to make, is about $7 million. Designers of the torch said they were inspired by the fictional Firebird of Russian folklore, but sarcastic bloggers were quick to point that the shape closely resembles the capital letter “Р” on the label of a popular Moldovan vodka brand. - The show of handing over the Olympic flag in London in 2012 involved a number of traditional symbols of Russia, like ballet dancers, the Sputnik satellite and the monument of Worker and a Kolkhoz Woman. Among them was the Tunguska meteor, which was supposedly the cause of an enormously powerful explosion in Siberia in 1908. That event was picked because in the same year the Russian Empire rejoined the Olympic movement after skipping the 1904 games, and won its first gold medal in the skating competition. - There are five mascots for the Sochi games, three animal athletes and two fairy children, a fire boy and a snow girl, for the Paralympics. The mascots were chosen in a nationwide telephone vote. The Russian counterpart to Santa Claus, Father Frost, was kicked out from the shortlist, because otherwise the character risked becoming the property of the IOC. Also missing in the ballot was the favorite of an internet contest of mascot designs, the furry frog Zoich. ‘Netizens’ fell in love with the tongue-in cheek blue animal, which clashed with the usual officialdom surrounding Olympic preparations. Zoich was later revealed to have been requested by the organizers to inject some viral drive into the mascot selection. - The games are not without a political twist, which has become rather common for the supposedly politics-free Olympic movement. Georgia for years said it would boycott the Sochi Olympics in protest against Russia’s role in the 2008 war between Georgia and South Ossetia. 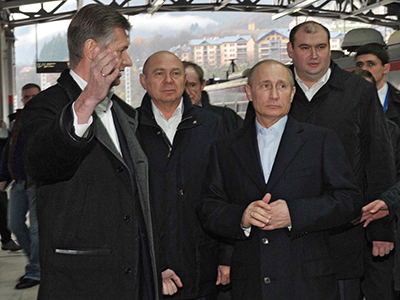 The short conflict remains the biggest stumbling block in relations between Moscow and Tbilisi. Georgia has changed its mind about joining in, after a change of power following parliamentary elections in 2012. - The Olympics in Sochi are the second Olympic Games Russia has hosted, the first being the 1980 summer games in Moscow. Both were 22nd hosting of the Winter and Summer Olympics.